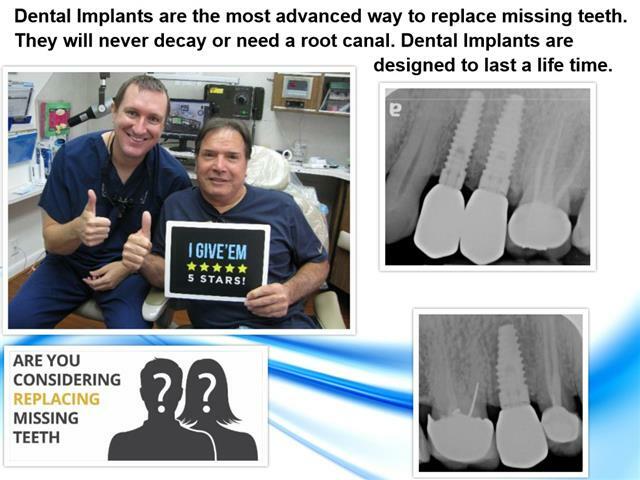 Dental implants have become the gold standard for replacing one or more missing teeth. Dental implants feel, function and look like natural teeth. Whereas, bridges and dentures can feel fake and do not function like natural teeth. Dr. Michael Nugent is a leader in cosmetic implant dentistry. Patients from Pasadena, Deer Park, La Porte, Friendswood and League City trust the skills and experience of implant dentist Michael Nugent. Discover why dental implants are the most technologically advanced way to replace missing teeth. Missing teeth can negatively affect the overall health of the mouth. When a tooth is lost the remaining teeth will collapse into the missing space. This causes bite problems and difficulty in cleaning the teeth. Furthermore, the bone that once supported the teeth will rapidly disappear. The loss of teeth and bone will cause a pre-mature elderly appearance. Dental implants eliminate these problems. Dental implants preserve bone levels because they are anchored in the jawbone. There the implants transmit the forces of chewing to the bone where the bone is stimulated and preserved. 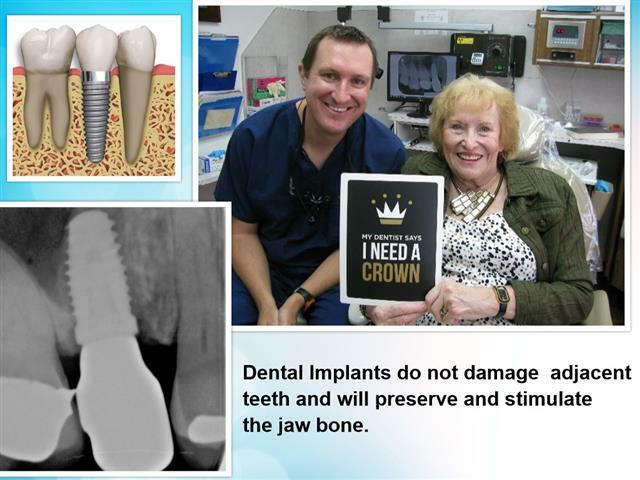 Also, dental implants do not require damaging adjacent teeth like a dental bridge. Dental implants have the longest success rate when replacing missing teeth because they replicate natural teeth from the root up. Dental implants can never get cavities and will never need a root canal. 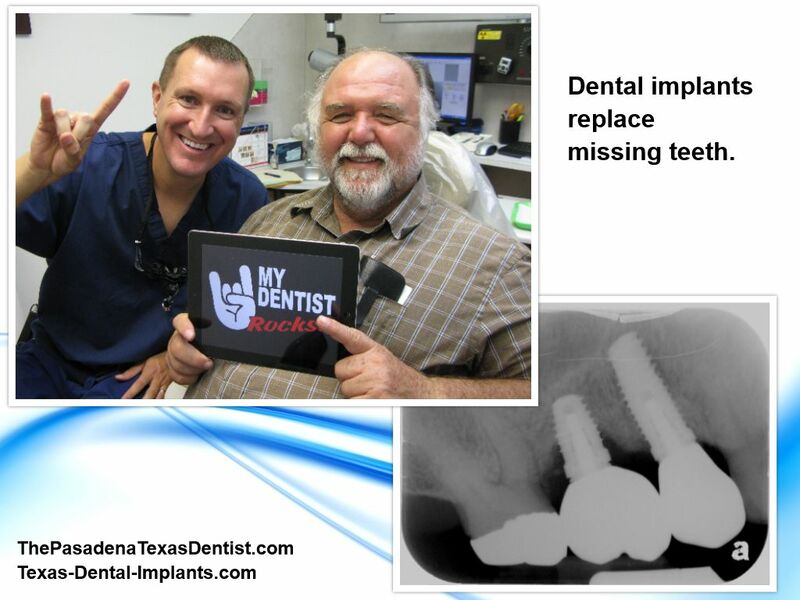 If you’re considering dental implants you need to visit with Pasadena, Texas Dentist Michael Nugent. Dr. Nugent will examine your teeth and evaluate your dental implant needs. Dr. Nugent will talk with you about your specific needs and wants when replacing missing teeth. Dr. Nugent has a Cosmetic, General, Implant and Sedation Dentistry dental practice in Pasadena, Texas. Patients from Friendswood, Deer Park, La Porte, League City and Clear Lake, Texas utilize the dental implant experience of Dr. Michael Nugent.